In this article, I will build a Carrier-of-Carriers with Internet Service Provider as the customer setup on a single vMX. Each individual router will be configured as a logical router. The vMX router has a back-to-back connection between ge-0/0/0 and ge-0/0/1 ports. For each different link, a different VLAN number will be configured to separate the traffic generated based on router ID number. 1. From router 1-CE to 13-C-CE will flow simple traffic. 2. Router 13-C-CE will push BGP-LU label. 3. Router 21-C-PE will swap BGP-LU label and will push an LDP label. 4. Router 22-C-P is PHP router and will pop the LDP label. 5. 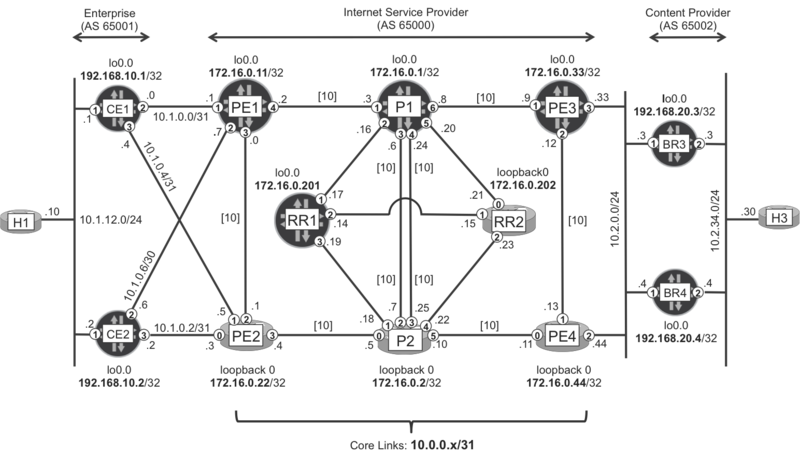 Router 23-C-PE will swap BGP-LU label. 6. Router 14-C-CE will pop the BGP-LU label and will forward simple traffic. I have installed Ubuntu using Easy Install. After powering on the VM I can’t install VMware Tools. The option is grey/unavailable. The CD-ROM can not be connected because of one error. Follow install window indications for further installation inside Ubuntu OS. Power ON the VM and wait for the easy installation. Chose eth0 as the Primary network interface. When trying to connect using ssh you will get an error. This is normal as ssh server is not installed. The authenticity of host '172.16.226.135 (172.16.226.135)' can't be established. ECDSA key fingerprint is SHA256:YCEkSF7rhHph60SRWGbfhHm2lRau5wUpPgjH2VqzMhA. Warning: Permanently added '172.16.226.135' (ECDSA) to the list of known hosts. Do you need to configure the network adapters? Find here the solution. For the SkyLifter project I wish to implement some additional virtualization features. What are Cisco Virtualization options? By default a router uses a single global routing table that contains all the directly connected networks and prefixes that it learned through static or dynamic routing protocols. VRFs are like VLANs for routers, instead of using a single global routing table we can use multiple virtual routing tables. Each interface of the router is assigned to a different VRF. VRFs are commonly used for MPLS deployments, when we use VRFs without MPLS then we call it VRF lite. Cisco IOS XR Software includes support for an HVR technology known as Secure Domain Routers (SDRs). The HVR technology dedicates both control plane and data plane resources on a per-module boundary to individual virtual entities, so there is no sharing of either control plane or data plane resources. It is sometimes said that the only resource HVRs share is sheet metal. A lightweight shim layer provides low-level communication between HVRs, who otherwise believe they are independent router entities. Because of dedicated control plane and data plane resources, software applications and forwarding hardware need not implement virtualization. This separation effectively eliminates arbitration for resources between virtual routing entities. SDRs provide full isolation between virtualized routing instances through the use of Distributed Route Processors (DRPs) for extra control plane resources. SDRs are defined on per-slot boundaries, with entire Route Processors (RPs) and Modular Services Cards (MSCs) dedicated to an SDR. Figure below depicts the deployment of SDRs on a Cisco CRS-1 Carrier Routing System running Cisco IOS XR Software. Note: SDR is only available on IOS-XR devices 12K, ASR 9K, CRS. It isn’t usefull for my SkyLifter lab. Cisco NX-OS introduces support for virtual device contexts (VDCs), which allows the switches to be virtualized at the device level. Each configured VDC presents itself as a unique device to connected users within the framework of that physical switch. The VDC runs as a separate logical entity within the switch, maintaining its own unique set of running software processes, having its own configuration, and being managed by a separate administrator. Note: This feature looks like Juniper Logical System feature but it is not supported by IOS XRv. It isn’t usefull for my SkyLifter lab. I have successfully installed vMX and used it in my labs following the procedure describer into Day One: vMX Up and Running book. But I am curious to see if the installing procedure used for IOS XRv can be used also for the new Nested vMX router from Juniper Networks. I am still having some trouble with some errors. Maybe it is a resource limitation. I will update the article if I find a solution to make it up and running.